← And the winner is??? UK middle grade readers are already familiar with COGHEART, the first book in an adventure series released in 2016. This week the story makes its US debut and WOW, what a fun, exciting ride we get. The setting is England’s Victorian times around the year 1896. Lily and Robert answer the age request with flying colors. Both thirteen, they come together along with a wise cracking mechanical fox in a life or death dilemma. Bad guys (with mechanical parts themselves) chase them for answers they don’t have about the perpetual motion machine Lily’s father created. The adventure explodes at a frantic pace, filled with airships, cogs, clocks, and great character arcs. The setting is real but the world around it is a steampunk wonder I enjoyed getting to know. Perfect for middle grade readers, the tale is one you’ll totally get wrapped up in and be thankful you did. If you want primer on how to write action scenes look no further. Cogheart has some of the best. Knowing there were two more books in the series, I wanted a satisfying ending to the first and I wasn’t disappointed. Clocks of all sizes come into play here, including one with a BIG name—BEN. Death, grief, and family are an important part of the story, but are all handled in way kids will relate to. A stunning cover that begs to be opened. The story delivers each and every image in an adventure like none other. Murder, mayhem and mystery meet in this gripping Victorian steampunk adventure story, featuring two friends, murder and mayhem, airships and automata, and an over-opinionated mechanical fox! Having decided to write about automatons I had to find a world they would fit in. I thought – what if I set the story in a time over a hundred years after the inven tion of the first automaton, in the last years of Queen Victoria’s reign, possibly by then, in this fictional world, automatons might have got so good they could do anything. 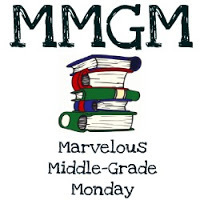 This entry was posted in Middle Grade Book Reviews and tagged Cogheart, Marvelous Middle Grade Monday, Middle Grade Book Reviews, middle grade fantasy, Peter Bunzl. Bookmark the permalink. Oh, my–that cover!!!! Thanks so much for the review, Greg. This looks like one my daughters and I will all love! What an awesome cover! I want to read it just to learn how to write action scenes right. Thanks for featuring it. That animated cover is so cool! And I always like to hear about books in that age range. Very hard to find. This sounds like a fun read. Thanks for sharing! I’m putting this one on my son’s birthday list. Thanks for the review! Wow! What an action-packed story. My grandparents were born in 1896, so this would intrigue me, especially since it involves the end of the Victorian era. Great share today! Sounds great. Will check it out. I love the animated cover, and suspect this book could be a perfect fit for me! I’m going to pick it up–thanks so much for making the introduction! The title is unusual and caught my attention. I don’t think I’ve ever read a steampunk book. Maybe this will be the one. Thanks for the review. What a fun book! I am working on a review of Cogheart for next month.